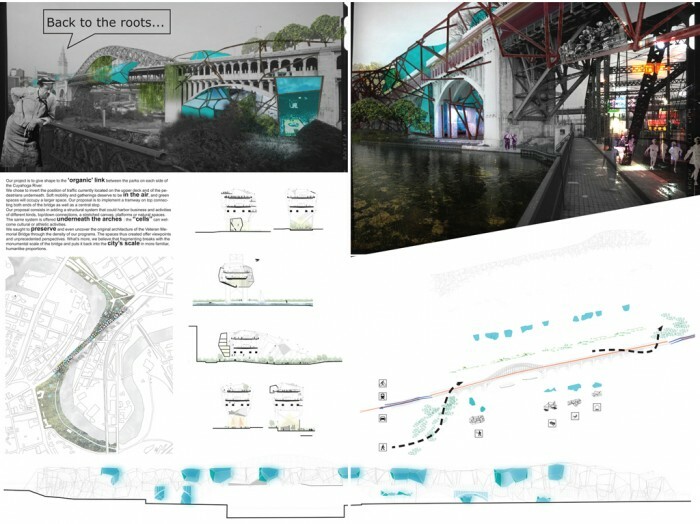 Our project is to give shape to the organic link between the parks on each side of the Cuyahoga River.We chose to invert the position of traffic currently located on the upper deck and of the pedestrians underneath. Soft mobility and gatherings deserve to be in the air, and green spaces will occupy a larger space. 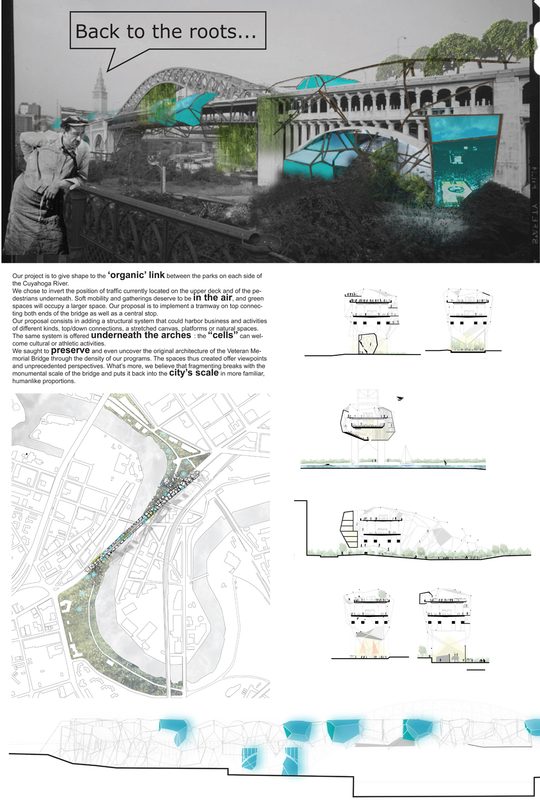 Our proposal is to implement a tramway on top connecting both ends of the bridge as well as a central stop. Our proposal consists in adding a structural system that could harbor business and activities of different kinds, top/down connections, a stretched canvas, platforms or natural spaces. 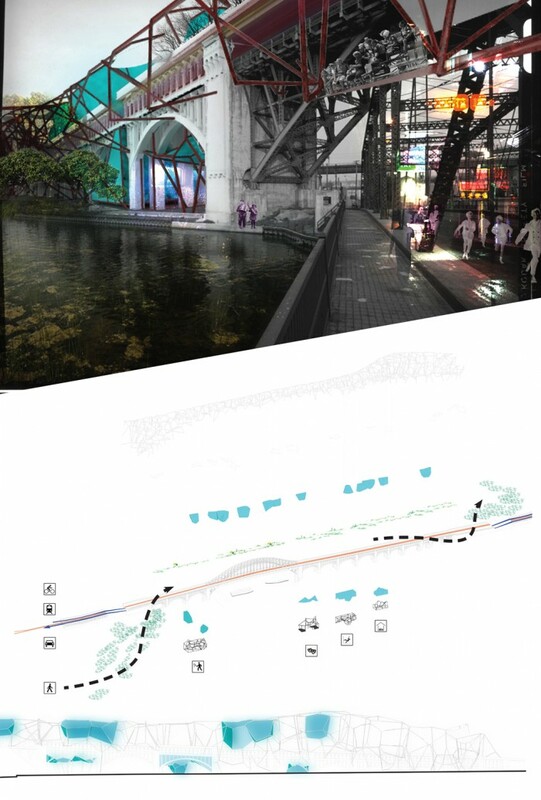 The same system is offered underneath the arches : the cells can welcome cultural or athletic activities. We sought to preserve and even uncover the original architecture of the Veteran Memorial Bridge through the density of our programs. The spaces thus created offer viewpoints and unprecedented perspectives. What’s more, we believe that fragmenting breaks with the monumental scale of the bridge and puts it back into the city’s scale in more familiar, human-like proportions.